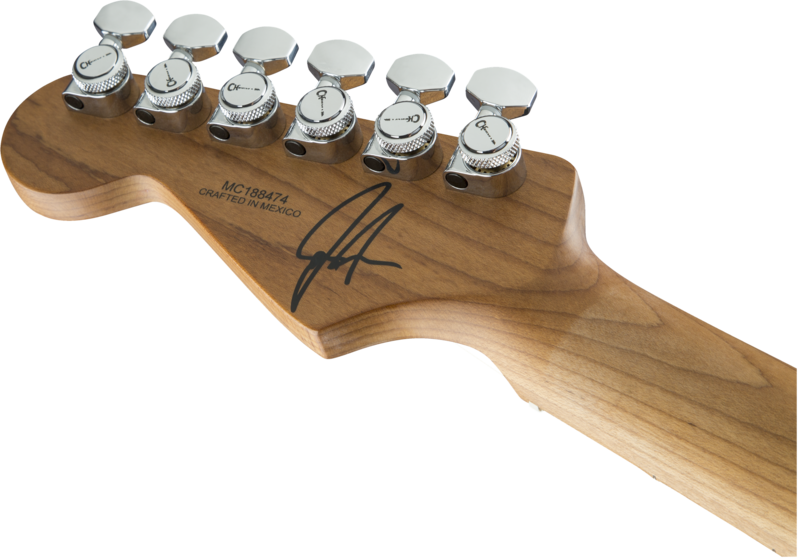 Ohio quintet Miss May I stands at the pinnacle of modern U.S. metalcore, and Charvel® is proud to honor the formidably fast, aggressive and melodic fret work of guitarist Justin Aufdemkampe with the Limited Edition Justin Aufdemkampe Signature Pro-Mod SD24. 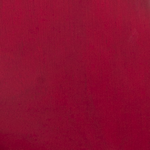 Its classic San Dimas® body is fashioned from mahogany and is finished in sultry Trans Red with chrome hardware. 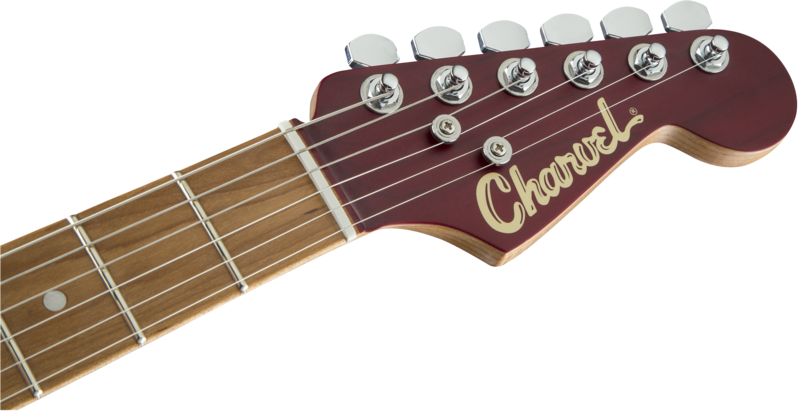 The two-piece bolt-on caramelized maple “speed” neck has graphite reinforcement, angled heel, heel-mount truss rod adjustment wheel and a silky-smooth hand-rubbed urethane finish, topped by a 12”-16” compound radius caramelized maple fingerboard with comfortable rolled edges, 24 jumbo frets and pearloid dot inlays. Aufdemkampe’s ferocious tone comes from a special HS pickup configuration combining a Fender® Texas Special single-coil neck pickup with a Seymour Duncan® Distortion SH-6 bridge pickup, both with black covers. 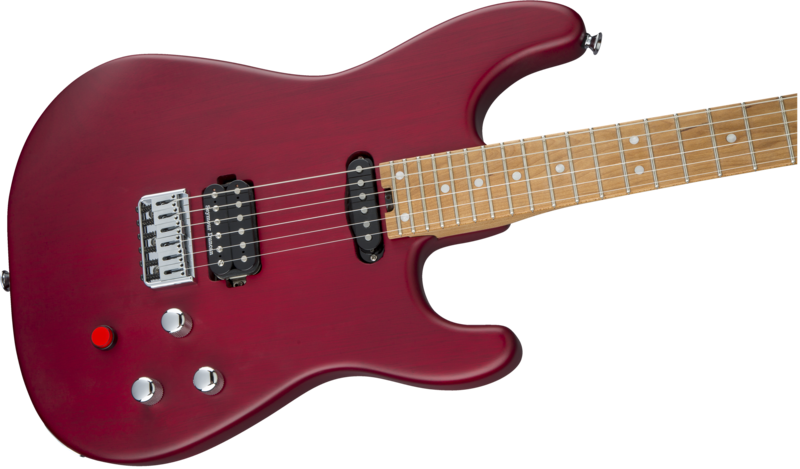 Other premium modern features include a three-way rotary pickup switch, domed volume and tone control knobs, momentary kill switch, Charvel HT6 string-through-body hardtail bridge, locking tuners and more. *MSRP is for reference purposes only; consult your local Authorized FMIC Dealer for pricing. Pricing outside the United States may vary due to each country's tax schedule, tariffs, import/shipping charges, and duties imposed by customs.